I really enjoy going out wine tasting or to wine bars, but there is nothing like being in the comfort of your own home and wearing what you like. All this while enjoying the music you like with a nice glass of wine. Last night I enjoyed a red robust wine. 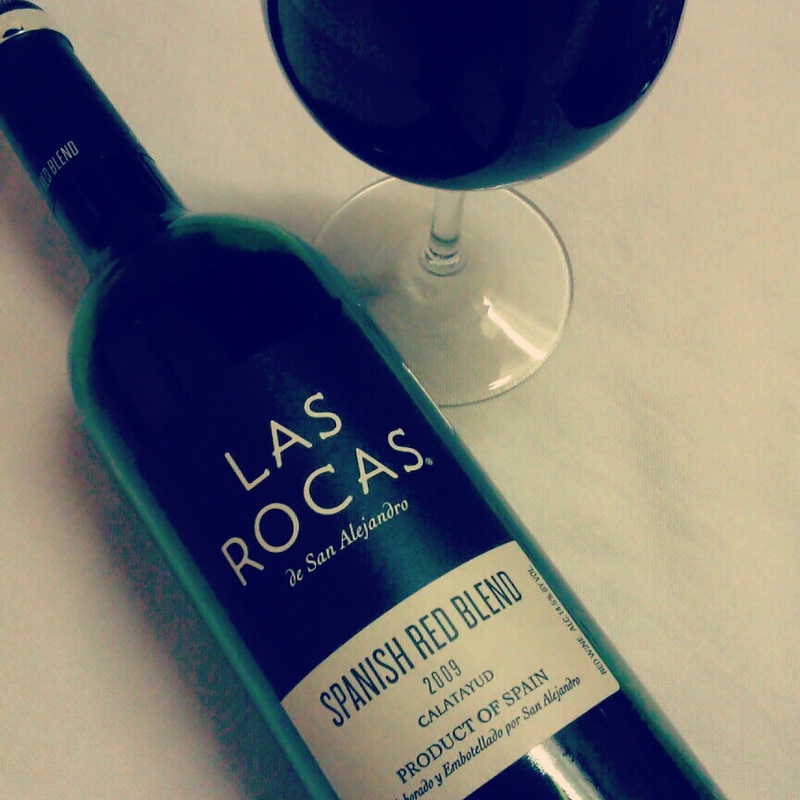 It was called Las Rocas Spanish Red Blend. The aromas were of bright berry flavors with an oak and cherry finish. 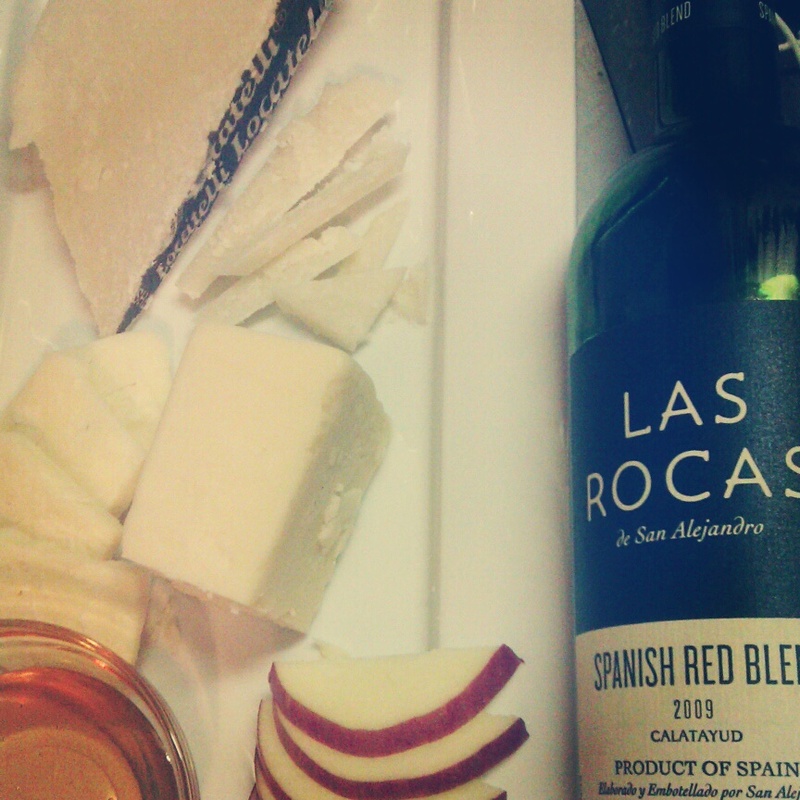 This is a dry wine but smooth, and goes great with some cheese and dark chocolate. I give it a 8.5 out of 10. Hope everyone is having a fantastic weekend. 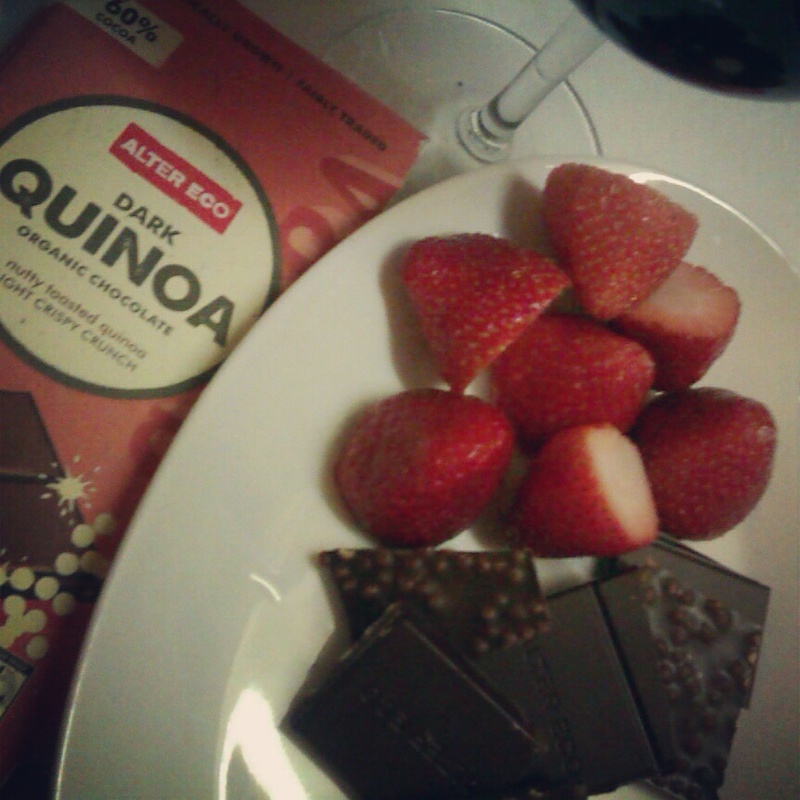 As well as Strawberries and Dark Quinoa Chocolate. Will have to try it! I love reds, if I can find it I will surely try it! Quinoa chocolate…very interesting. Thanks for the wine tip! Yes! Its taste like Crunch Chocolate bu of course a lot better for you. I am not a huge fan of Red Wines. But who am I to judge. I am almost a Wine Virgin. Have no idea between the difference of a good wine or a bad wine. Love the post though 🙂 The chocolate looks interesting btw.